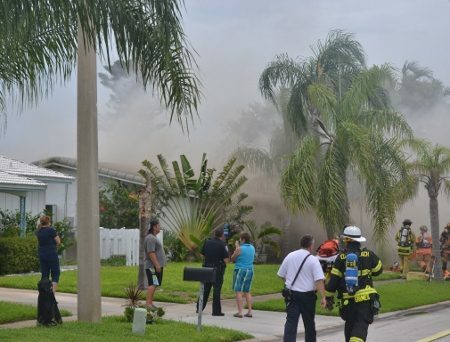 COCOA BEACH, Florida -- A waterfront house in the 300 Block of Kent Drive in Cocoa Beach caught fire around 4:30 p.m. today. Cocoa Beach Fire Rescue Crews are on scene and have knocked down the fire, and are proceeding with mop up operations. Kent Drive was blocked off at the intersection of North Banana River Boulevard while fire crews battled the blaze.